NORD DRIVESYSTEMS offers reliable drive technology with reinforced bearings and increased bearing spacing for the processing industry. This ensures maximum radial and axial load capacities and a higher service life of the gear units. Usually, standard gear units are designed to allow for a great number of ratios and, consequently, speeds. But with regard to component safety, they are sufficiently dimensioned to match the motor power to be expected. The bearings also comply with these expected standard requirements. Usually, a larger gear unit is chosen if the forces at the output shaft exceed the gear unit capacities. This is because a standard housing will not allow the bearing spacing to be increased or a much larger bearing to be implemented. Costs increase unnecessarily. 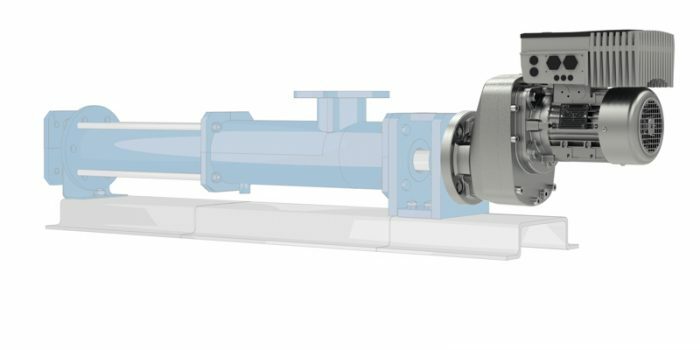 NORD DRIVESYSTEMS offers application-specific equipment options characterised by high performance and efficiency, specially designed for pumps, agitators, and mixers whose processes result in high radial and axial bearing loads. An agitator version (VL2 bearing) with increased bearing spacing and reinforced bearings as well as a Drywell version (VL3 bearing) with additional oil drip plate and leakage or oil sensor are also available. The bearing spacing of the VL2 and VL3 versions is increased with attachments while the gear unit size remains unchanged. NORD also offers bearings that were intentionally oversized to meet the requirements of applications such as pumps or agitators. Chemical, pharmaceutical, food or water treatment sector – the robust drive solutions by NORD DRIVESYSTEMS offer top reliability and ensure unobstructed operation. Reinforced and larger output shaft bearings allow the gear unit to absorb the high axial and radial forces and thus prolong the service life. For more information, please visit http://www.nord.com.